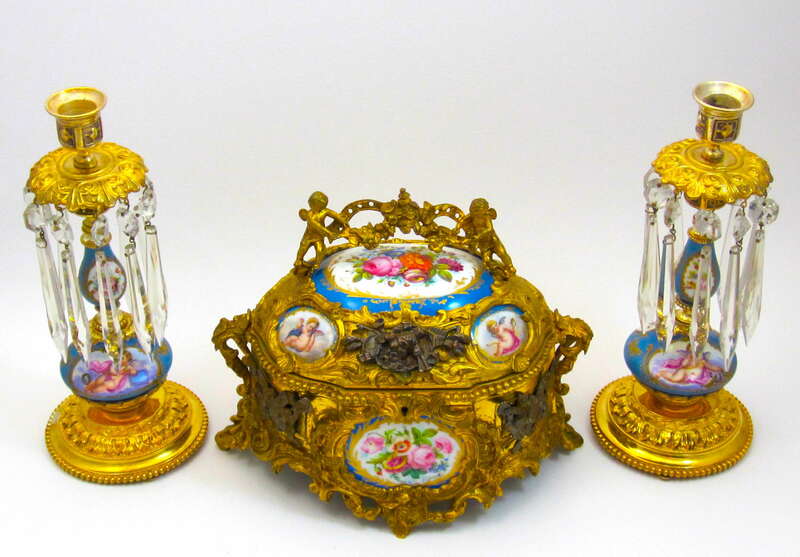 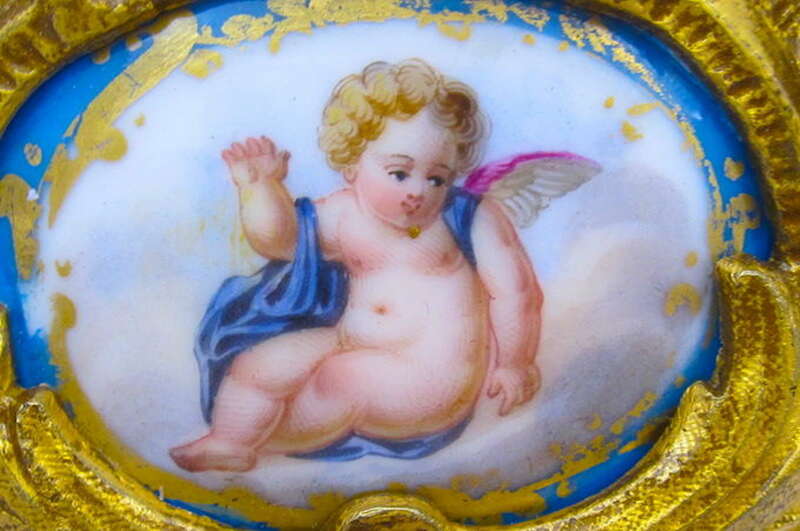 Fabulous Antique French Porcelain Mounted Dore Bronze Casket Embellished with a Central Hand-Painted Porcelain Flower Medallion and 2 other Porcelain Medallions Depicting Cherubs. 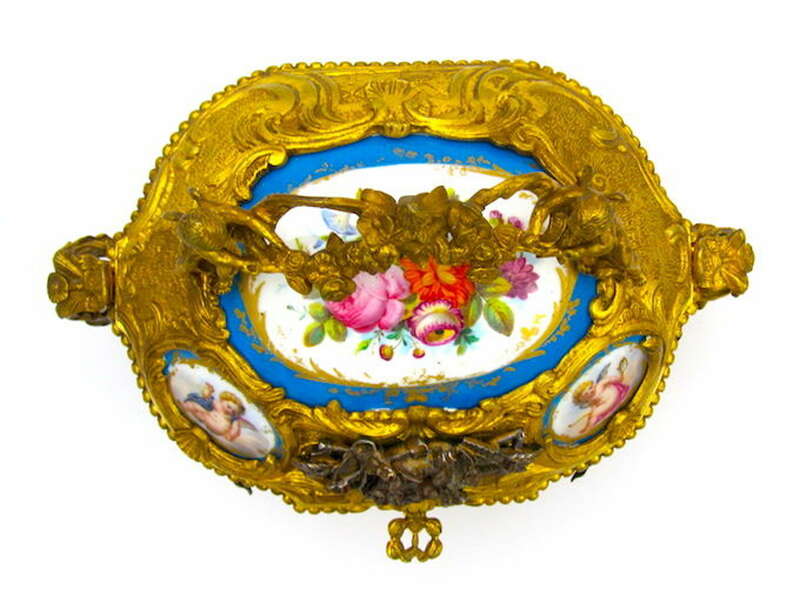 The Medallions are Framed in Gold Foliage. 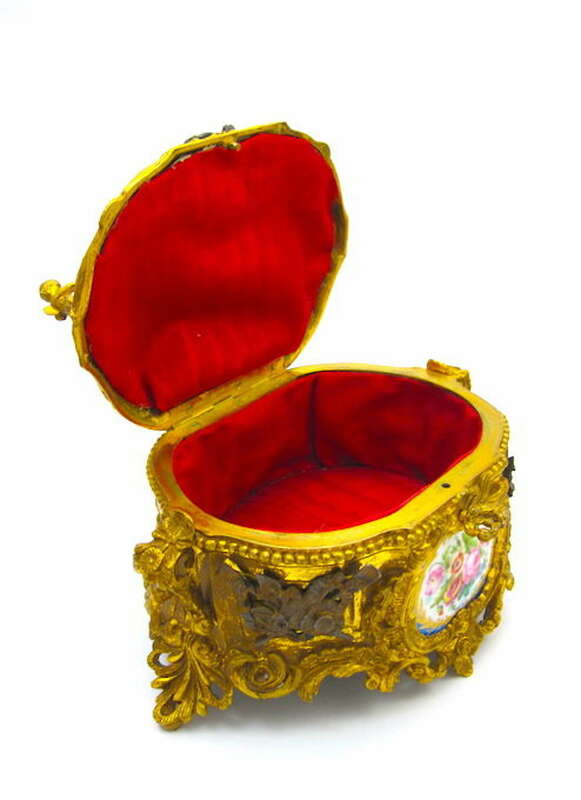 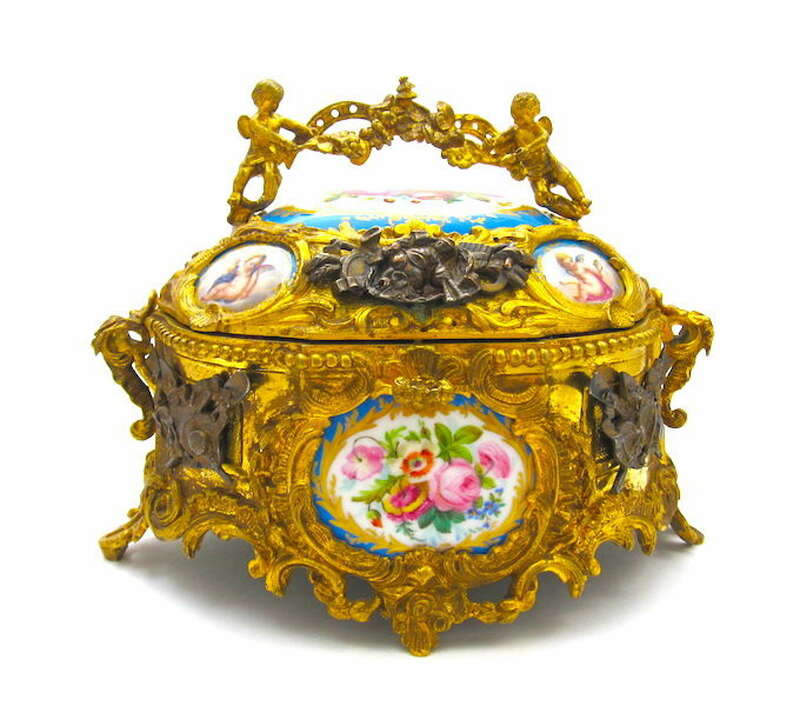 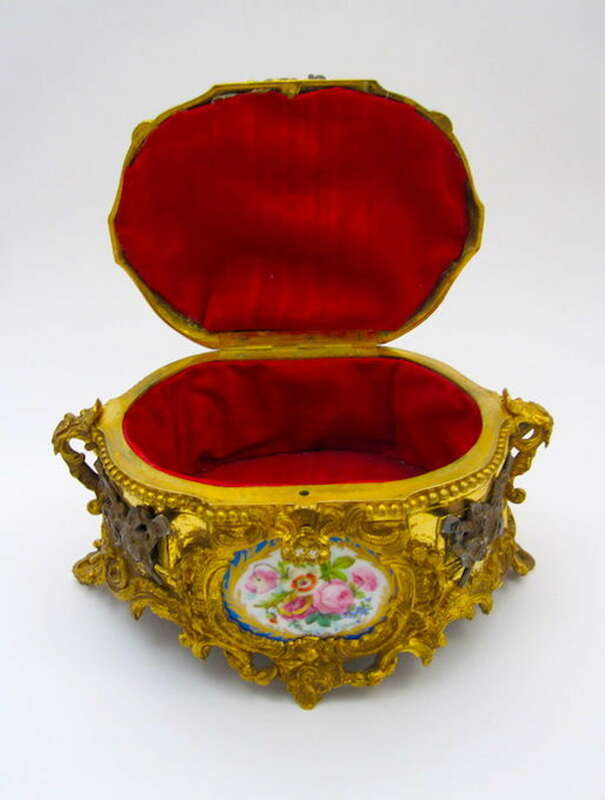 This Ornate Casket is Set in a Rich Gilt Bronze Mounting which Displays Rocaille Features. 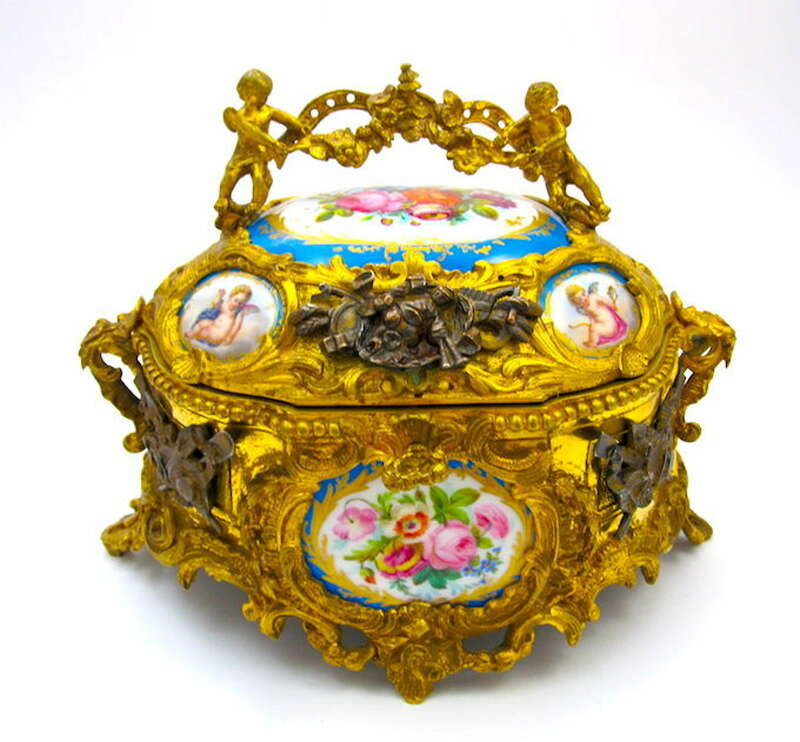 Rocaille was a French Style of Exuberant Decoration, with an Abundance of Curves, Counter-Curves, Undulations and Elements Modeled on Nature. 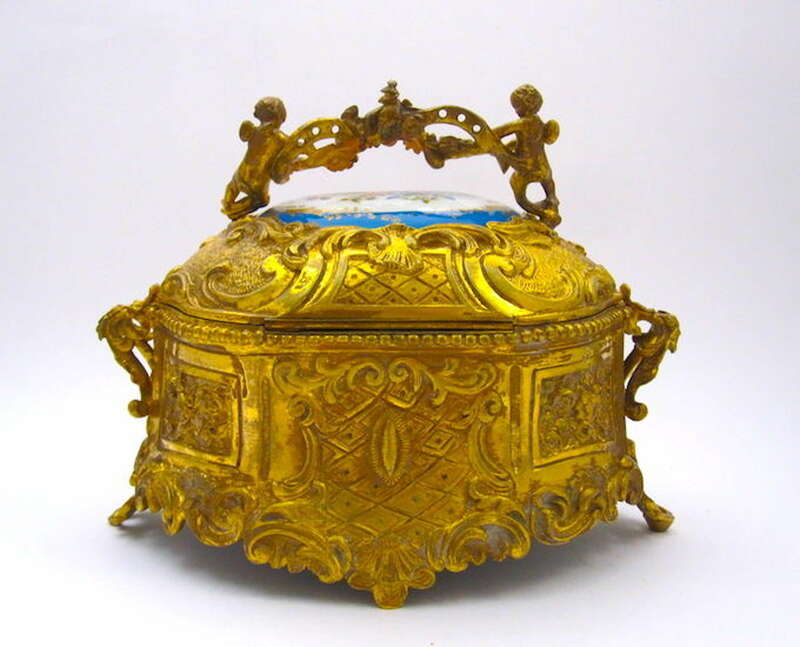 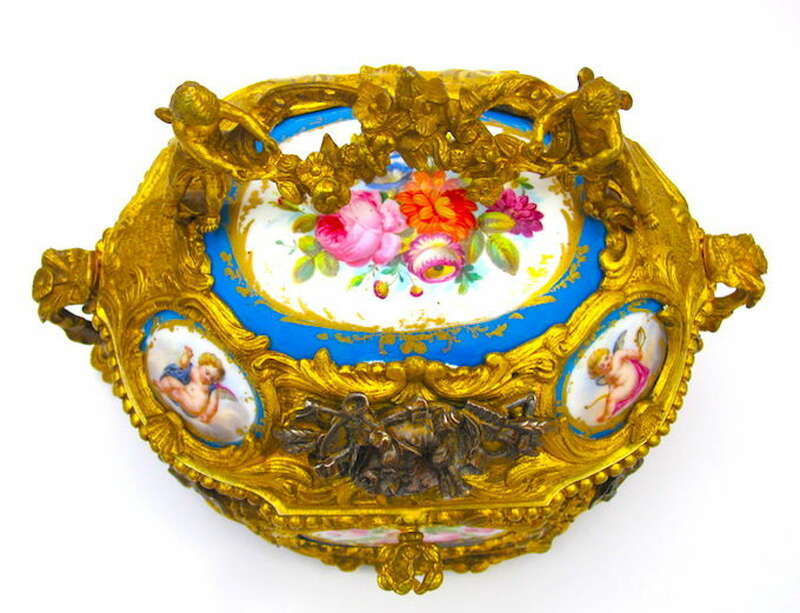 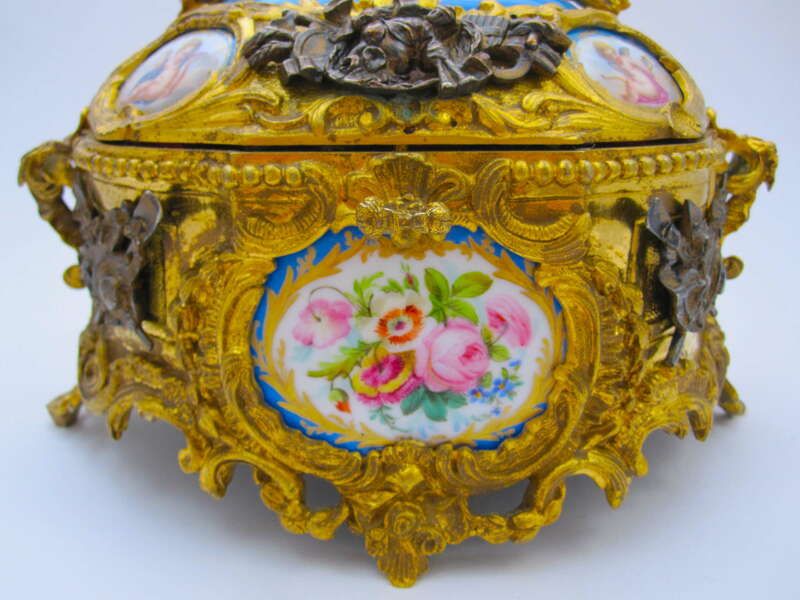 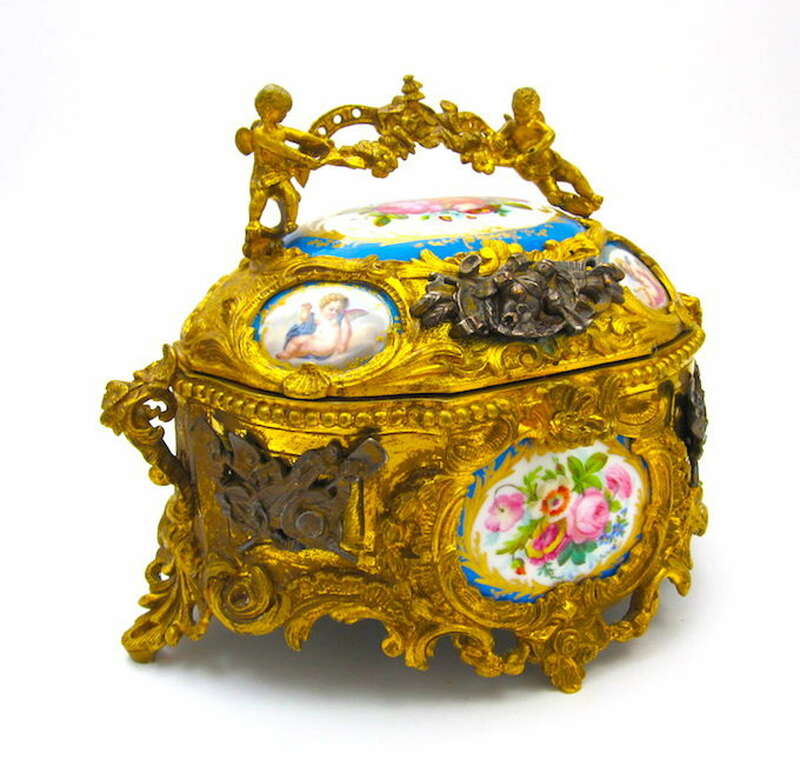 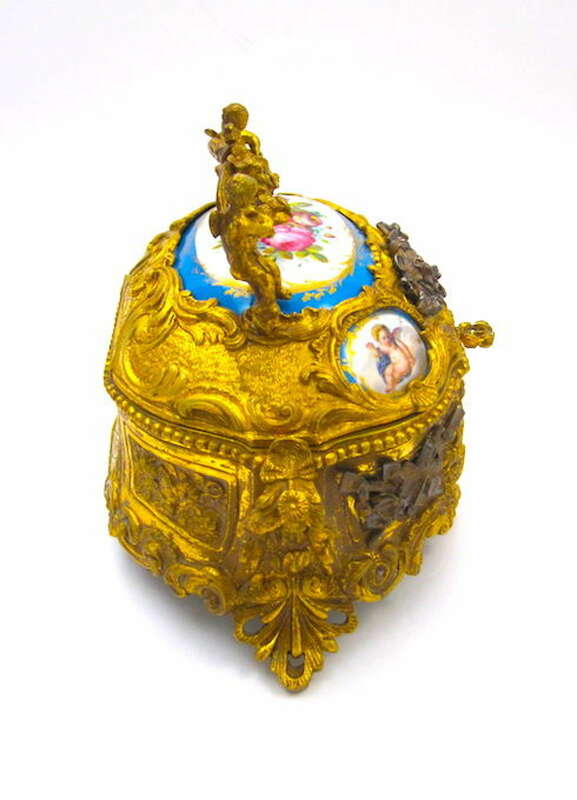 The Hinged Lid is Surmounted by 2 Cherubs and An Ornate Handle. 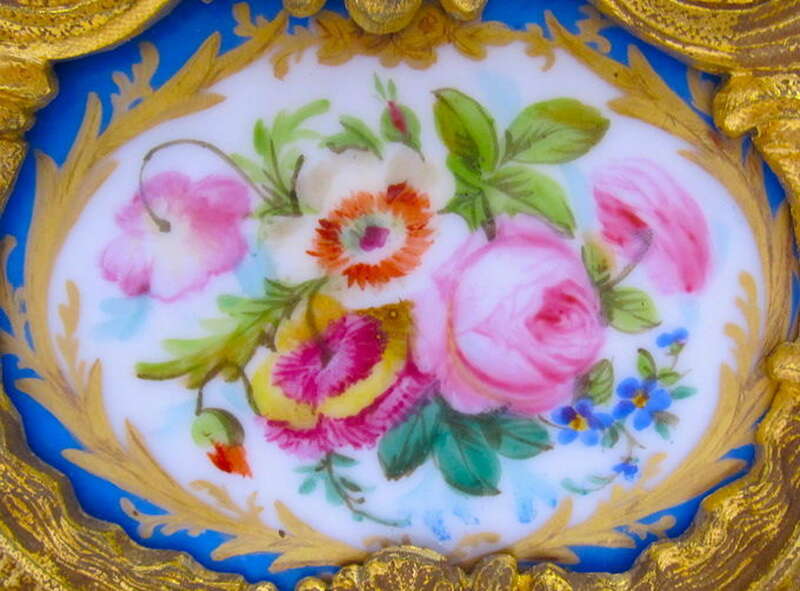 Possibly by by Alphonse Giroux, Paris.